There are so many steps that go into living a healthy lifestyle. The food you consume, the way you exercise, and self-care are just a few things that folks try to hone in on to improve their health. One of the most important factors is what you’re feeding your body after a tough workout. Post-workout recovery meals are a vital part of a healthful lifestyle, refueling the water and energy your body lost while exercising. Luckily, there are a ton of choices that should satisfy any food connoisseur. Whatever you’re in the mood for after your training session, don’t worry, we’ve got you covered with some of the best foods for your body. Many adore the original tater tot. A bite-size fried potato ball that you can dip in pretty much anything is the ultimate snack. However, they aren’t exactly healthy for you, especially after a workout. 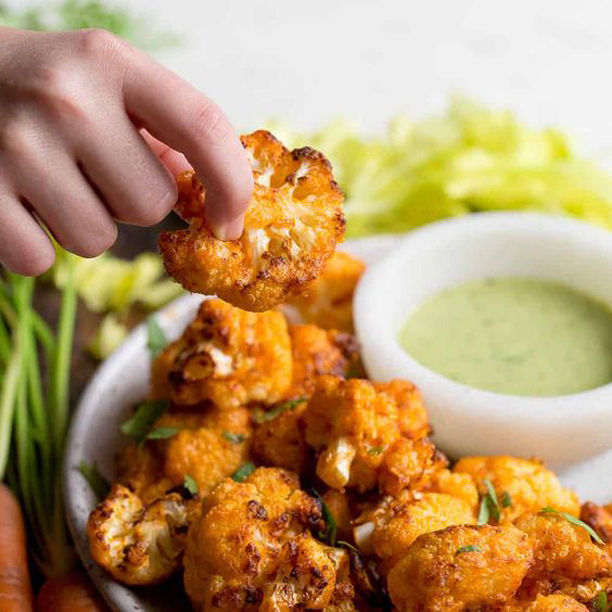 To get a similar flavor, which a healthy twist, try making tater tots using cauliflower, instead. 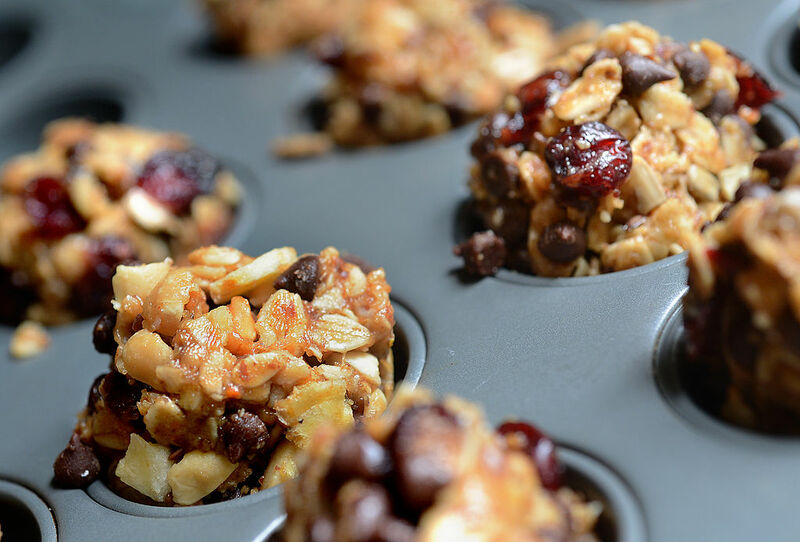 Whipping up this version of the delicious treat is perfect for post-workout food. These tots have one-third the fat and half the carbs as their potato counterpart. It’s a great way to sneak some veggies into your diet, too. Greek yogurt is a great dish to consume once you finish your workout. It’s also a great base that allows you to customize it as much as you want. 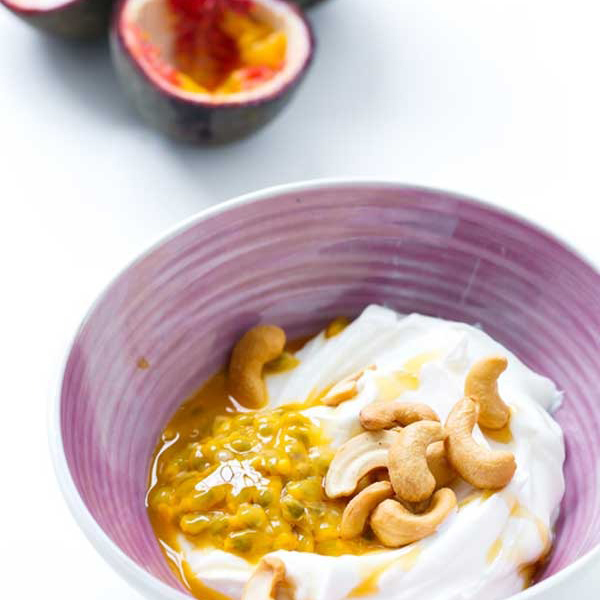 That’s why we’re suggesting a passion fruit greek yogurt with cashews and honey. Sounds incredible, right? Once you combine the already-beneficial yogurt with the immunity-boosting passion fruit, energy-enhancing honey, and satisfying cashews, you’re on your way to recovery bliss after the first bite. Mix up the ingredients and you’ll never get bored. Fear not, these aren’t your average potato skins. 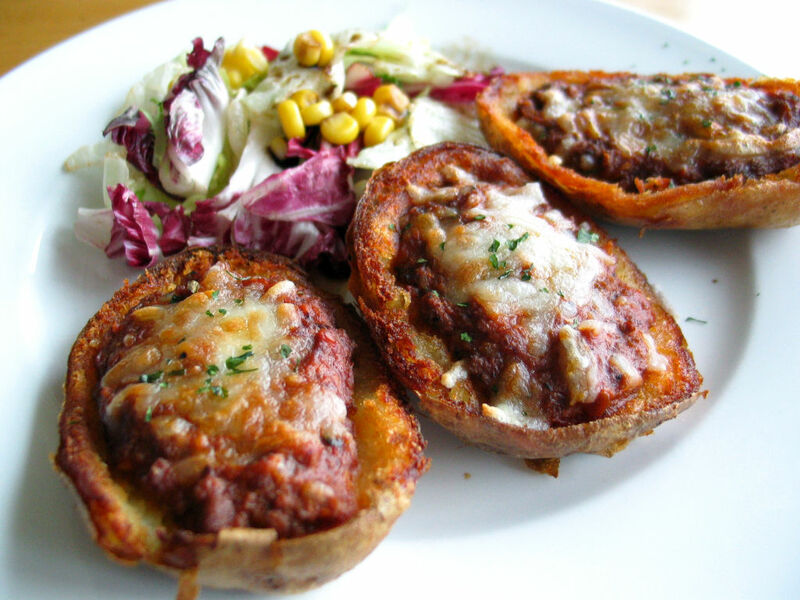 The suggestion we have for you here are sweet potato skins. Since they’ve become a mainstream healthier alternative to regular potatoes, folks have found various ways to make them even more delicious. These skins will restore low sodium and carbohydrate levels, all while giving you just enough fat and protein that will keep you satisfied. Mixing sweet potato recipes into your meal plan would be a great move to make if you haven’t already. There are endless possibilities when it comes to salads. You can pretty much make the leafy dish in any kind of way that your heart desires. The type you should aim for after a workout is one packed with superfoods. Add kale, spinach, avocado, pumpkin, quinoa, walnuts, and berries to your salad, and you have yourself a meal rich with nutrients. 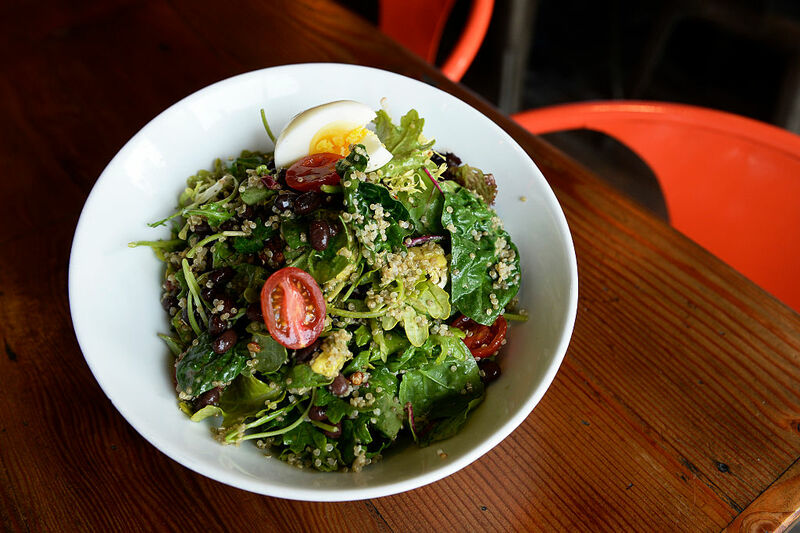 The superfood salad option is more on the lighter side but it gives you everything you need after working up a sweat. Popsicles might have very well been your favorite vice as a young kid. We don’t know many who aren’t a fan of the icy treats. Why not make them healthy? Have you ever tried a berry yogurt popsicle? These are especially nice when the summer heat comes rolling in and you just finished a long workout. 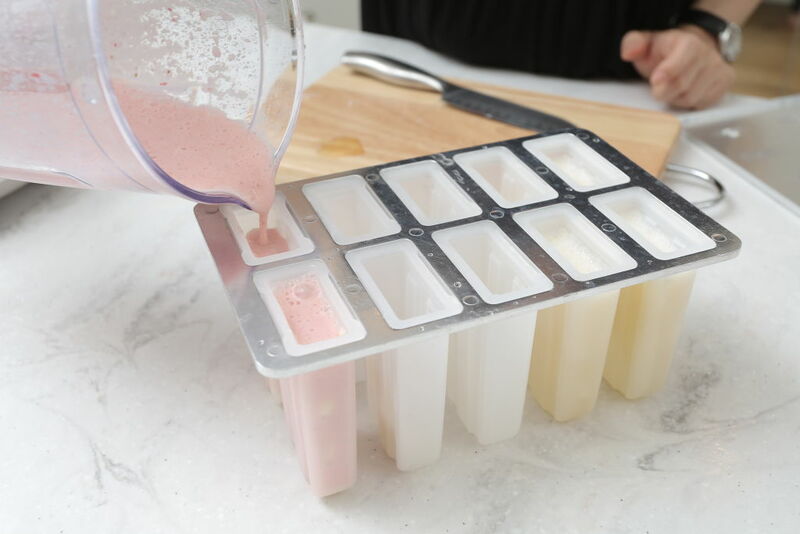 Blend up the fruits and yogurt then place them in the freezer in containers as you see in the image. Don’t forget to get the sticks! There’s nothing better than having nutritious and tasty foods that are easily-devoured. That’s exactly what these sweet and salty energy bites are for. They come together in a matter of minutes and the ingredients pack serious benefits. Almond butter helps tone your waist and the flaxseed fights against cancer while boosting your mood and lowering your blood pressure. Pop a couple of these puppies into your mouth for an easy post-workout food that you’ll be sure to make more of. After a tough workout, consuming protein can help to rebuild and repair your muscles. Adding protein to your post-workout diet can help heal your sore muscles faster. If you like to wake up in the morning and workout, try making a protein shake after. They’re quick, easy, and the protein powders come in a variety of flavors. Most shakes just require adding milk or water, shake it up, and you’re good to go. This one is a time-saver, too. Many might not consider this to be a conventional recovery food, but the nutrition it packs will certainly change your mind. 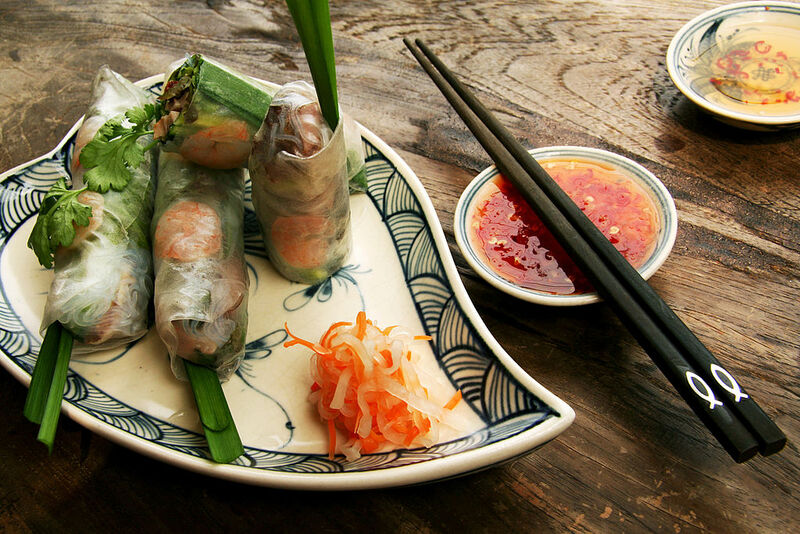 Brown rice summer rolls have plenty of sodium, fat, and carbs to bring you back to form. The protein in them also helps restore muscles. On top of all that, these are both refreshing and light. Can you visualize your six-pack already? There’s nothing better than enjoying delicious food that aids your body, too. Unless you’re allergic, peanut butter is one of the tastiest spreads there is. Things get even better once you combine it with jelly to make a sandwich. 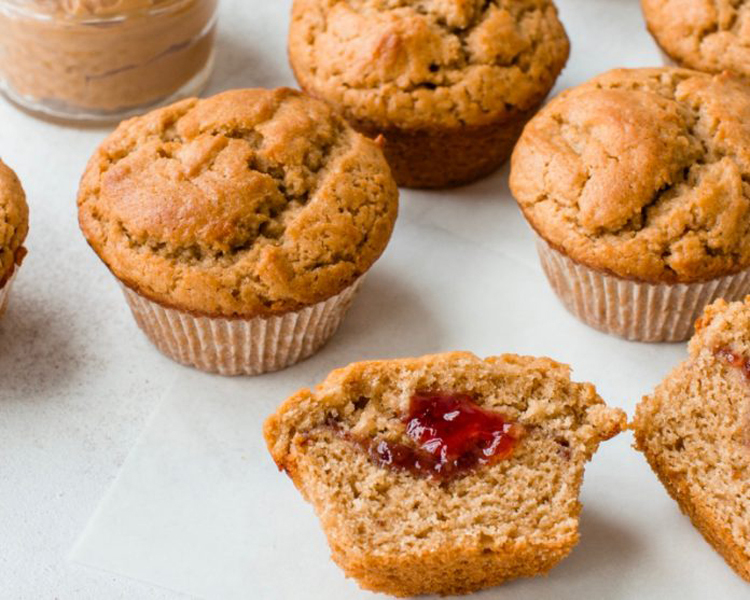 Now, we’re telling you to take things to the next level with peanut butter jelly muffins. The ingredients included for this meal are very easy for your body to break down for needed energy after your workouts. Most recipes have them dairy and grain free as well for those paying extra close attention to their diet. 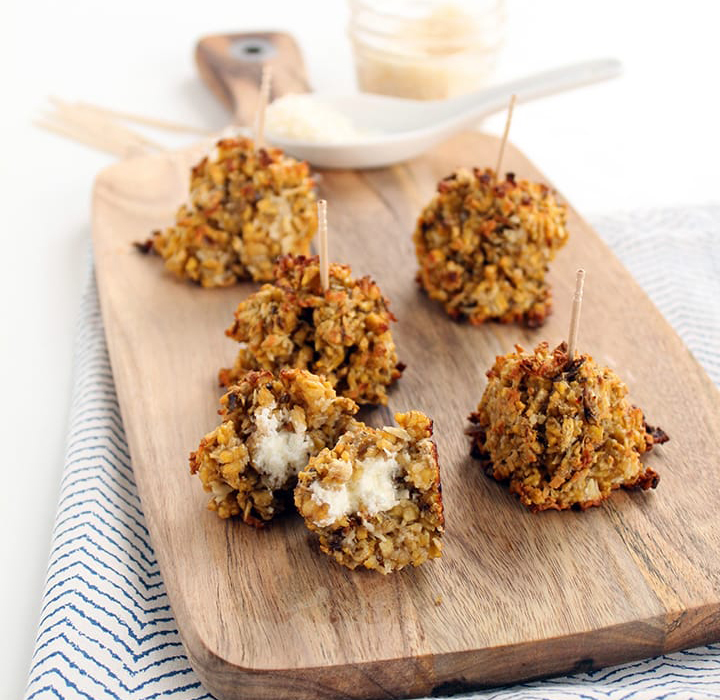 If someone were to offer you goat cheese stuffed plantain rice balls, would you take one? We know that sounds like probably the most exotic thing on this list, but it’s here for a good reason. 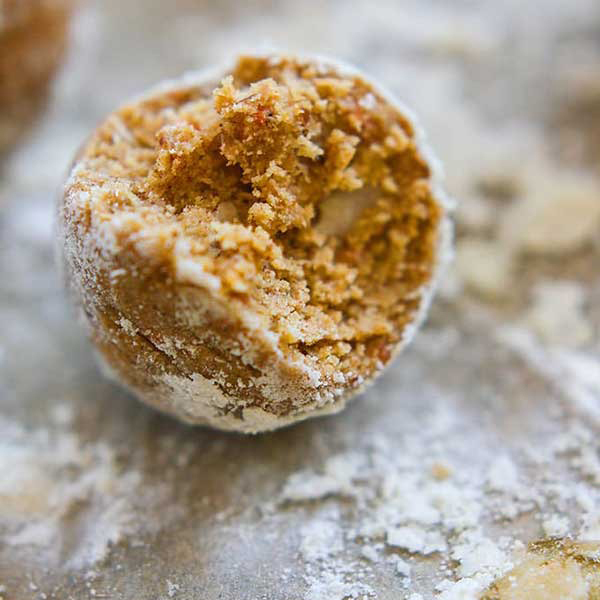 These balls are sure to replenish your electrolytes, bringing you tons of energy. We know the name of these treats sounds like a little bit too much, but we assure you that you don’t want to judge these before you have some. To everyone who works out early on Sundays, you deserve a great post-workout meal. Not to say everyone else doesn’t, but burning the fat on a Sunday is a tough task mentally for a lot of folks. 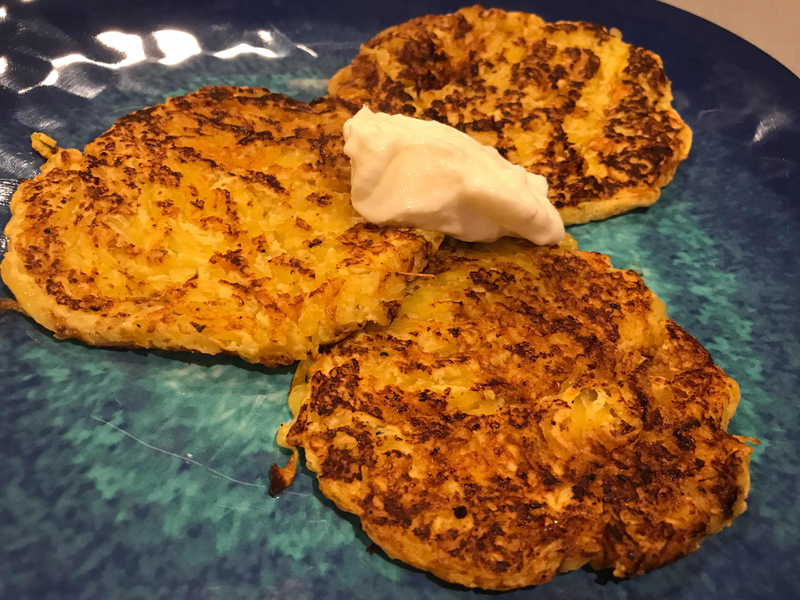 We present to you the spaghetti squash hash browns. If you weren’t aware, spaghetti squash is one of the more versatile low carb, low-calorie veggies out there. Even throwing an egg into the ingredients list doesn’t throw off the nutrients. 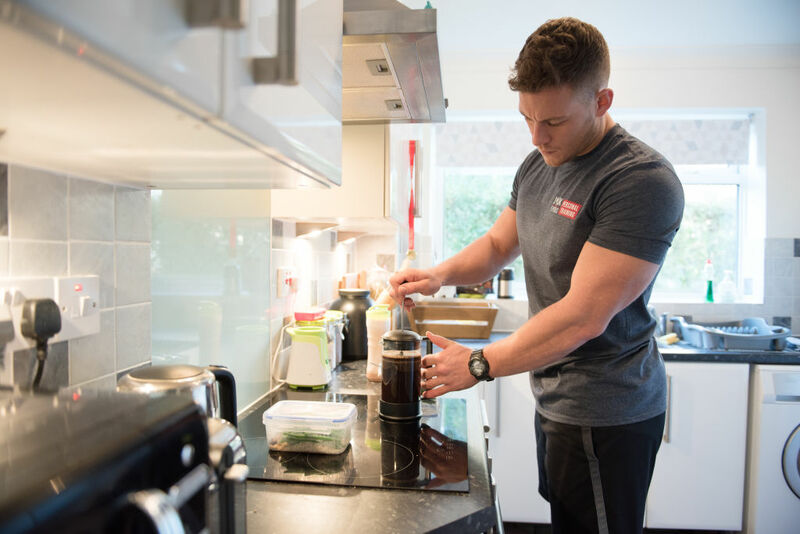 This post-workout meal is ideal for those with a family to look after. Especially if you like to fit in your gym session after work. 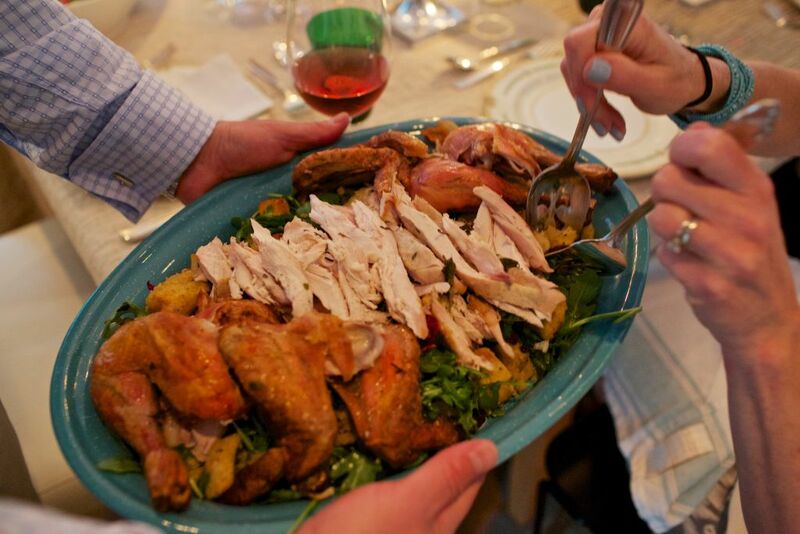 You and the whole family can enjoy a roasted chicken dinner that’s delicious and filling. Not only will everyone be happy with roasted chicken, but it’s also a helpful food for recovery. Packed with tons of lean muscle-building protein in a low-calorie meal, everyone will enjoy what’s on their plate. Pinwheels have always been a tasty treat for any type of occasion. 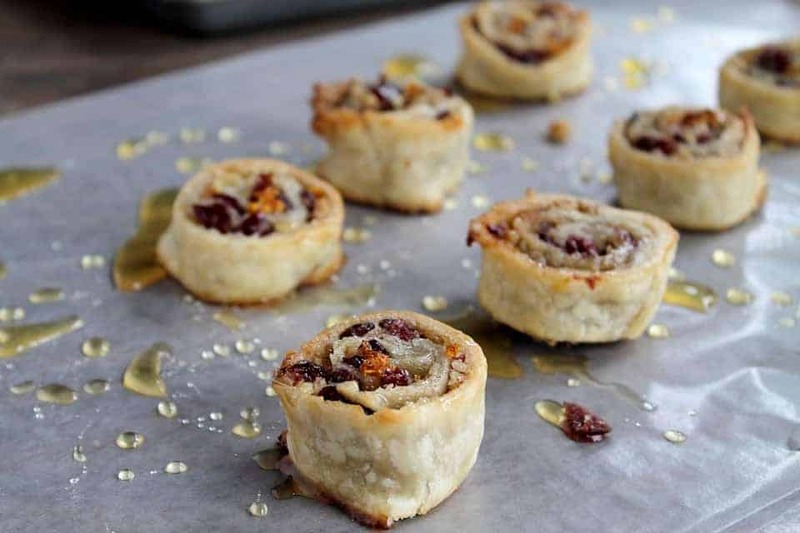 The finger food can be loaded with pretty much anything you desire but we’re telling you about cranberry whipped feta pinwheels. They sound enticing, don’t they? When you bring together green onions, dried cranberries, whipped cream cheese, and walnuts inside of a tortilla, you have yourself one great post-workout food. It’s easy to make and wholesome to eat. You’re sure to chow through these easily. Did you really think we weren’t going to add another sweet potato based food for you all? Sweet potatoes are one of the most well-known superfoods out there so it only makes sense they would make for great post-workout foods. 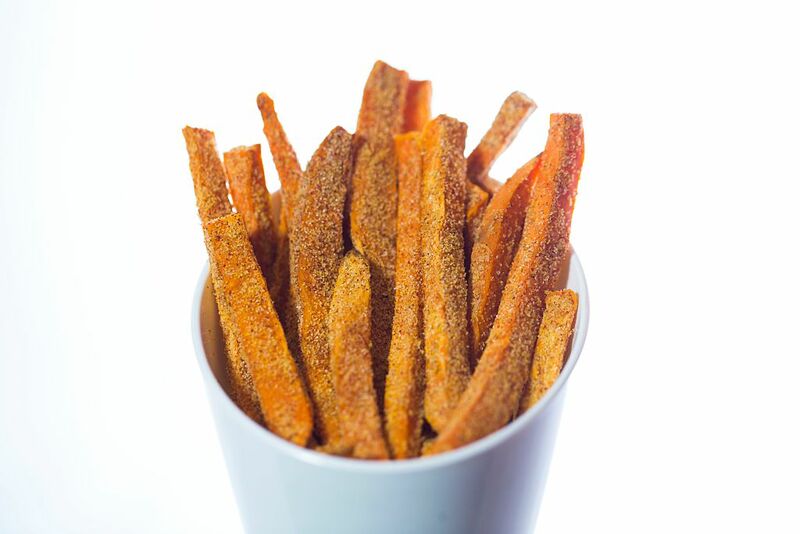 If you’re a fan of original fries then we highly advise you try double crunch sweet potato fries. At first, the taste will different than what you’re used to, but soon you’ll be enjoying these all the time. Slice up sweet potatoes and mix them with light oil and seasoning. Bake them in the oven and you’ll have a delicious recovery treat. Having a hectic schedule can rain all over your healthy parade. Being too busy might force you to settle for foods you really shouldn’t be eating like fast food. Thankfully, you have the option of maple banana pancake bites. When you don’t have much time to make one of the other treats on this list, you can meal prep, of course, or you can summon up some of these. Not only are they easy to make but they’re packed with protein. You’re out there doing all these intense workouts hoping to obtain the body you’ve been dreaming of. That body won’t come unless you’re eating the proper foods as well. That’s why you’ve made it this far to uncover the best foods to eat post-workout. 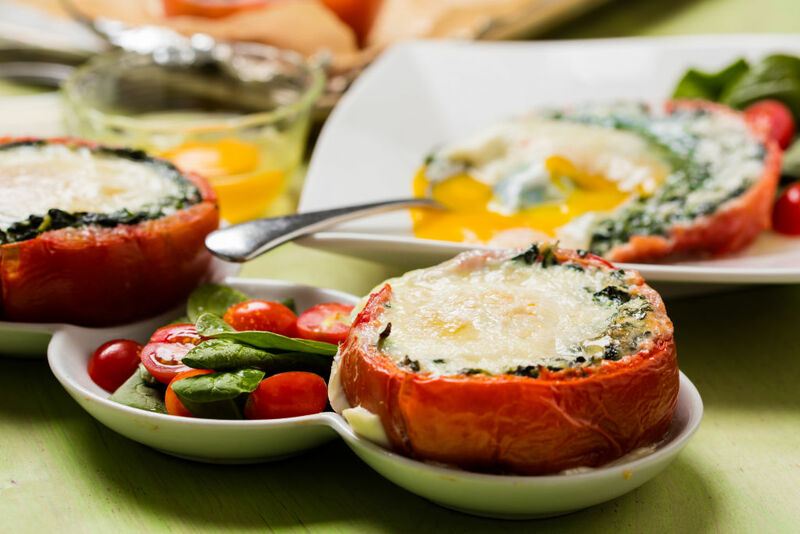 Have you tried baked eggs tomato cups? Not only are these low in carbs but they’re bursting with protein. These are some treats you need to try as soon as you can. 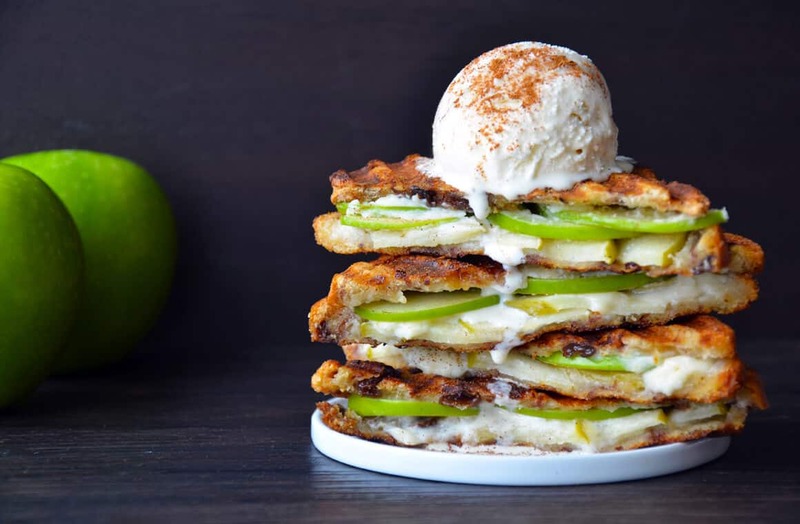 Three words: apple pie panini. We know that doesn’t sound like something most people would eat after a workout, but this is especially helpful for those who are long-distance runners. It carries a lot of carbs, simple sugars, and it helps you break down fat for energy. You can have this with or without ice cream, but it’s slightly better for you when you have it without. We can sense your mouth watering just by looking at the photo. Are you craving some nachos? Don’t worry, we got you covered with this one. 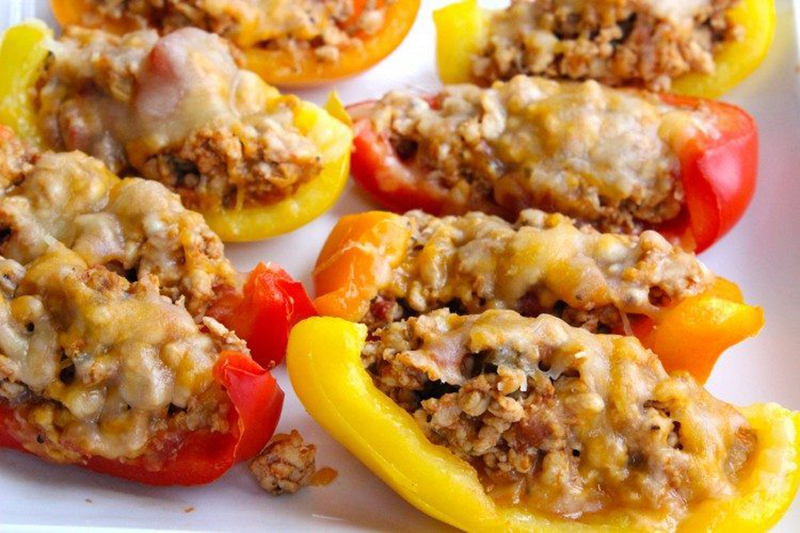 These bell pepper nacho boats are perfect after a short workout. Since you haven’t depleted too much energy, you don’t need a high carb meal. These “nachos” will help the muscle fibers you’ve used by bringing back fuel to them. Working out is a process and sometimes can become grueling, so you’ll need something heavier than these for sessions lasting longer than 30 minutes. A good scoop of hummus can always be enjoyable. You can step your hummus game up by making it a loaded hummus. It’s a great way to work some more protein, fiber, and healthy vegetables into your meal. 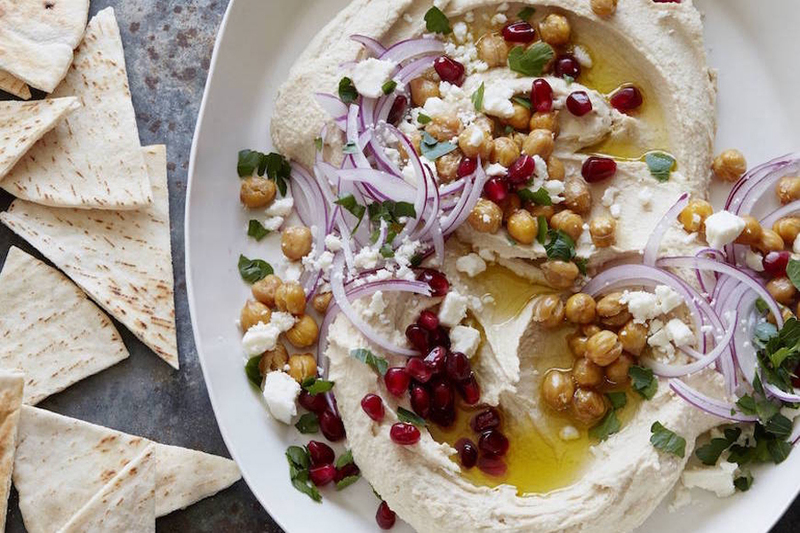 Serve up some hummus on a plate and toss in some red onion, feta, pomegranate, and chickpeas. You’ll have yourself a post-workout food that’s providing all kinds of benefits such as belly slimming, cancer-fighting, and antioxidants. Add this to your shopping list before you forget. 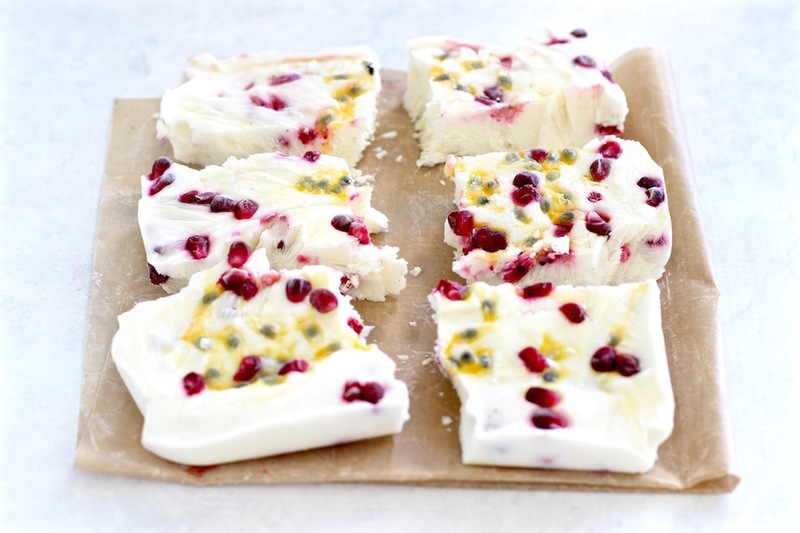 Do the words passion fruit pomegranate bark make anyone else feel good inside? If not, maybe you should give this treat a try after your next workout. Why wouldn’t you? This reward won’t mess up your efforts and tastes amazing. This bark is filled with muscle-building protein, is fat-free, and low in carbs. What more could you ask for in post-workout recovery? Those are some of the most critical avenues you need to go down for after your workouts.